The Twister gas processing technology was used for dew-pointing 120 MMSCFD of gas supplied as fuel gas to the Shell Petroleum Development Company of Nigeria (SPDC) owned and operated 650MW Afam V1 combined cycle power plant. The completed system included six Twister Supersonic Separators together with a chemical-free Twister Hydrate Separator. Improved economics. With approximately 30% lower CAPEX & OPEX. High availability. >5 years on-stream with no shutdowns and >99% availability. Flexibility. The ability to handle varying feed gas compositions; inlet temperature & pressure; and 0-100% turndown. Inherent safety. With a closed loop system and no emissions. 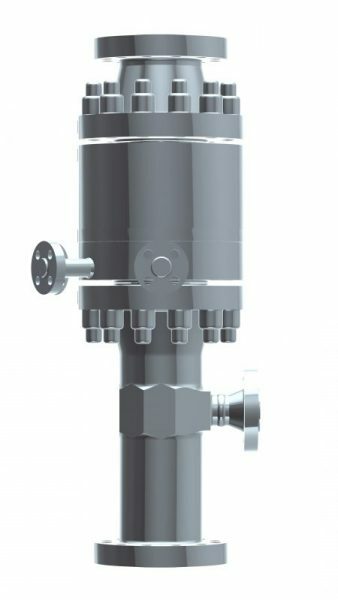 The Twister™ Supersonic Separator efficiently condenses and separates water and hydrocarbons from natural gas in a chemical-free, environmentally-friendly, safe, compact process with minimal operating costs as no moving parts are required in the Twister tube. The Hydrate Separator™ is a green technology that can be used to separate hydrates and liquids from natural gas without using chemicals. Hydrates are melted using heating coils. Cyclonic separation ensures a compact and low-weight design with high separation efficiency. Operating benefits include the elimination of chemical logistics, storage, regeneration and environmental emission recovery systems.